Music Production and More...: Remix Pro Producer Course Launches in August! 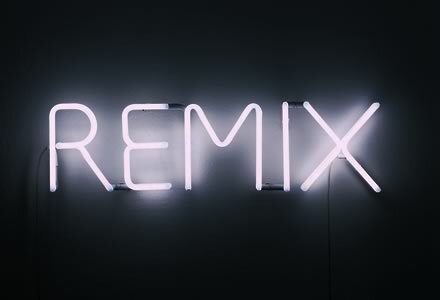 Remixes have always been a crucial part of a producer's armoury, and they often hold the key to the first major breakthrough into mainstream conciousness for underground artists. The music industry has become awash with remix competitions, and remix swap opportunities over the last few years. Competitions make sense for all parties involved; labels get to pick the best out of hundreds of remixes at little or no cost to themselves and producers have the chance to get their music released and heard by a whole new audience. Remix swaps are seen as a cheap way to add credibility to releases, and again, for the artists to gain exposure to a fresh set of listeners. We are proud to announce our latest online Pro Producer Course: Remixing in Logic. On the Remix course we will break down the essential tricks and techniques that producers use to transform a track. It features 2 exclusive downloadable remix packs from Reelgroove records and also 1 from course tutor Danny J Lewis' Imprint Enzyme Black Recordings. After watching exactly how Danny goes about creating a remix from these tracks you will have the opportunity to download the audio parts and have a go your self! Have a listen to the tracks here. On top of these course materials, each week students get the opportunity to upload their own tracks for professional 1-2-1 video feedback from Danny himself (Direct Video Response™). The first course starts on August 2nd and will be enrolling every 4 weeks thereafter. There are still a few places left for the first month so get in touch now to enrol!